This tense new conspiracy thriller is inspired by real events, and centers around the North Sea in the 1980s, at the beginning of the Norwegian Oil Boom. Professional diver Petter and his brother set out to help authorities test how much pressure the human body can stand, in order to figure out how to extract the oil that lies 1,000 feet below sea level. 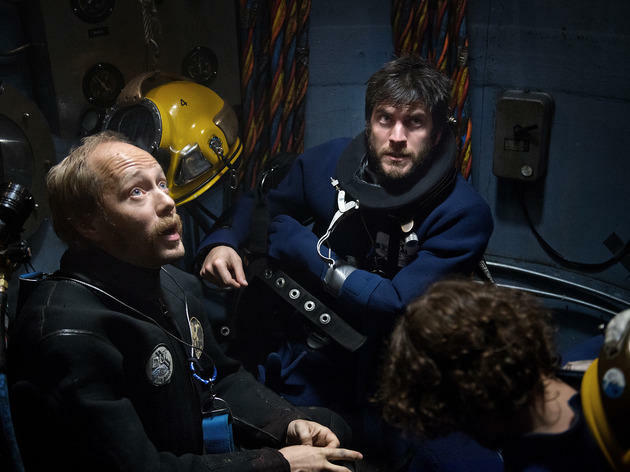 Petter's dream of reaching the bottom of the sea turns into a nightmare, however, when tragedy strikes and he realizes that his life, too, is at stake. Aksel Hennie and Wes Bentley star in the Norwegian film, which will play for a week at the Nuart.